The picturesque beaches of Miyakojima are among the most popular places to relax, rejuvenate and unwind. Incredible snorkeling, crystal clear waters and long stretches of underwater coral reefs attract divers from across the globe. And Miyakojima’s tropical climate makes it ideal to visit almost any time of year. 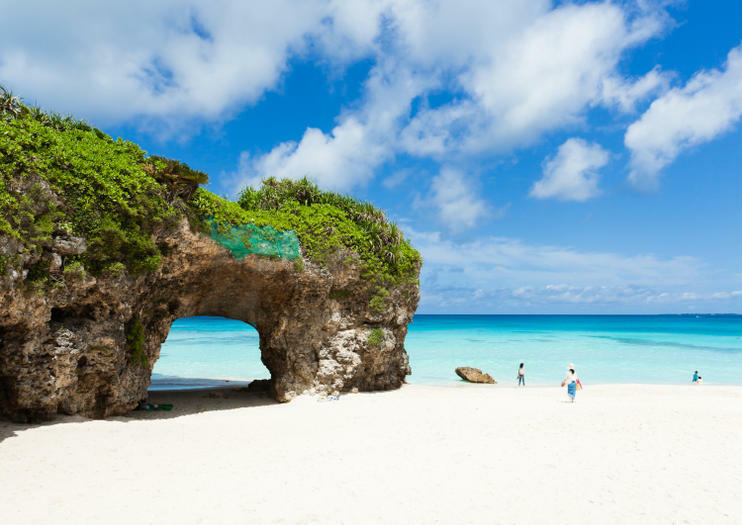 Located about 300 kilometers south of Okinawa’s main island, beaches like Maehama and Sunayama rank high among Miyakojima’s most visited destinations. But its vast sugar cane fields offer a scenic escape from some of the region’s more populated islands and sites like the Tuyumya Grave and Tropical Botanical Garden offer beach-coming travelers opportunities to explore further from the shores, too. Miyakojima is worth a visit any time of year but the most ideal conditions exist between April and November. It is accessible only by air, as ferry service was discontinued several years ago.